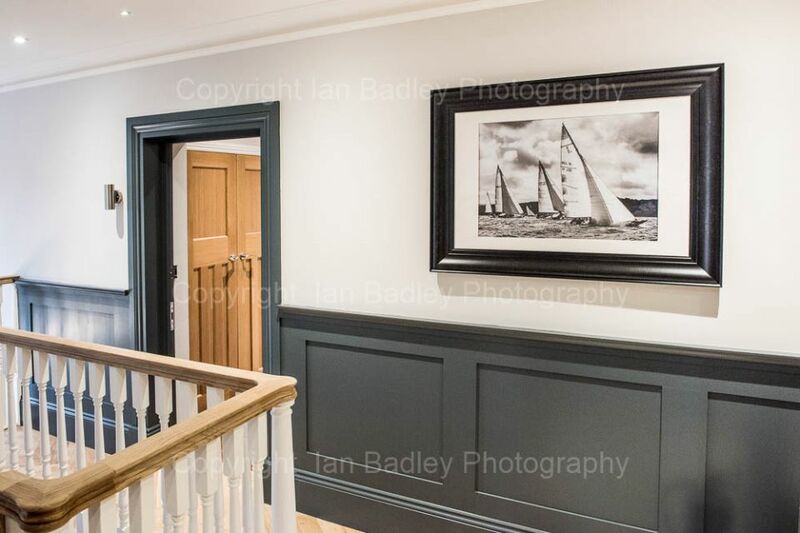 Ian Badley is a professional photographer and well versed in meeting the requirements of corporate business clients or private customers in the supply of images to suit their needs. He is the author of two books and contributed to a number of others, writes articles for photographic magazines and newspapers in addition to writing for his own endeavours. His commissions have included work for Time Out, Chewton Glen Hotel, Holiday Inn, Savill's, Rathbone Investment Management, Bloomsbury Publishing, IPC Media, Time Inc, plus magazines, publishers and printers as well as private clients for that special landscape or yachting image used for both business and pleasure. Ian’s images have sold in countries throughout the world as illustrations in books and used as the front covers, brochures, travel guides, company publications, newsletters, websites, calendars, office pictures and even mouse mats, to name a few and you will probably have seen his pictures in such esteemed sailing magazines such as Yachting World, Sail World, CharterWorld, Classic Boat and Sailing Today. Commissions are all about time employed. This includes preparation, travel, the photography and then the editing and processing of the images to provide the pictures you, the customer requires. These photographs may be supplied in either digital form for advertising brochure, magazine or Newsletter use for example; or as finished prints to hang and decorate your office or private premises. You can also use Ian’s existing images for commercial purposes once a license for such use has been purchased. Many library images are available which far, far exceed the number of images shown on this website, so please contact us outlining your specific requirements and Ian will reply with a selection of images from which to choose. Reliable – Honest – Delivers on time – Good value for money - Aesthetically pleasing - Images with impact. 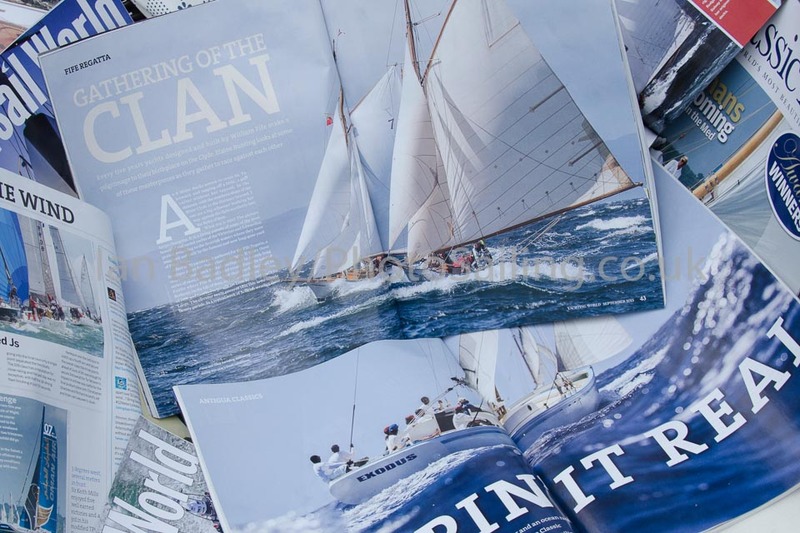 PhotoSailing prints provide a quality product for your business office space. 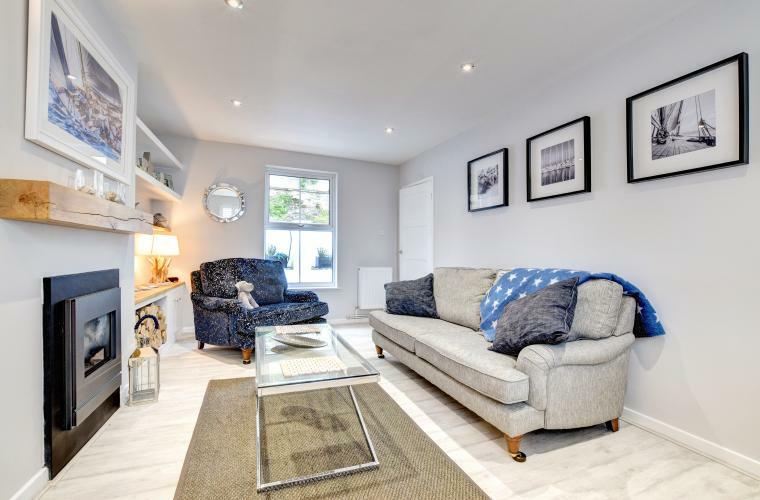 Working with you we can produce either single images or offer a selection of images to fit in with your wall designs. 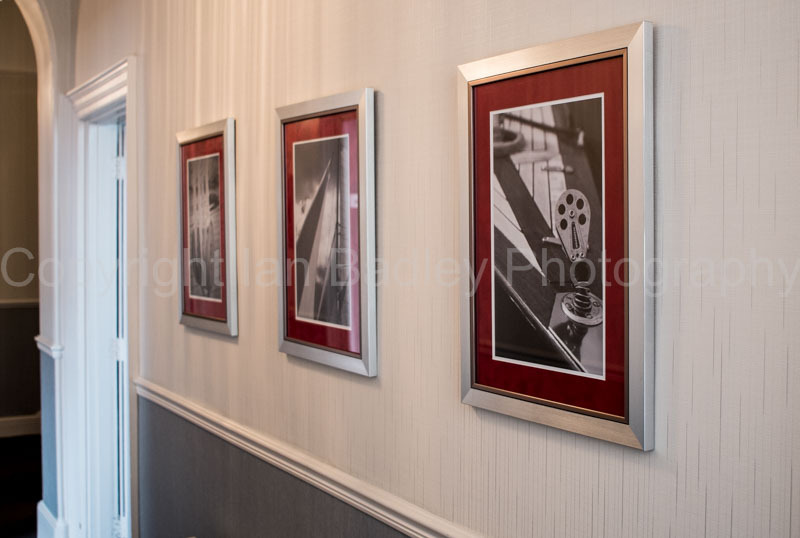 We have supplied images to many businesses, as prints for office refurbishment, business decoration or new office display and also as images for your designers to include your publications. 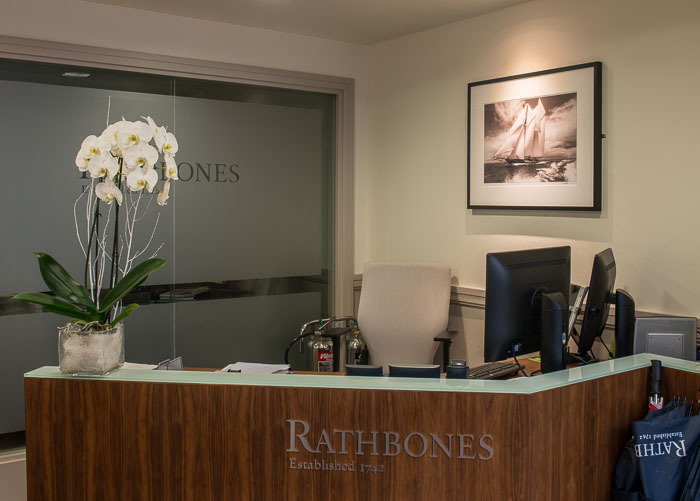 Some clients require a collection of small images to create a montage to enliven a particular area of their workplace, whilst others have used really large pictures over six foot wide in a display area. 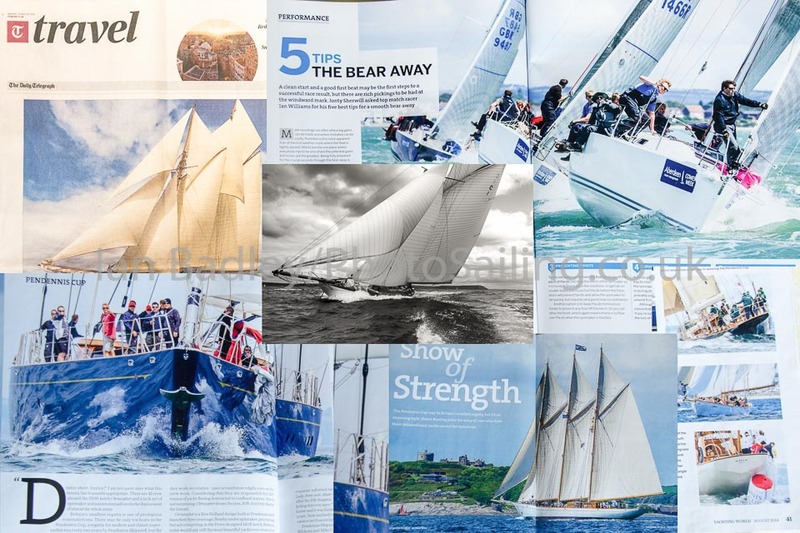 These pictures may be themed - such as the timeless quality appeal of a warm toned monochrome classic sailing yacht print or a dynamic action image in vibrant colours; or a mix maybe with a few seascape images to provide a more holistic view. Recent clients include over thirty pictures for a solicitors’ new office; a National estate agent, a finance house’s new office building and even the departure lounge of an international airport! All the prices on the website include VAT which, of course may be claimed back if your business is also registered for VAT and the prints or images are for business use and quantity discounts are available also. As all the prints are produced to order, a range of sizes are available together with a range of paper qualities, canvas and mounting with prices to match.